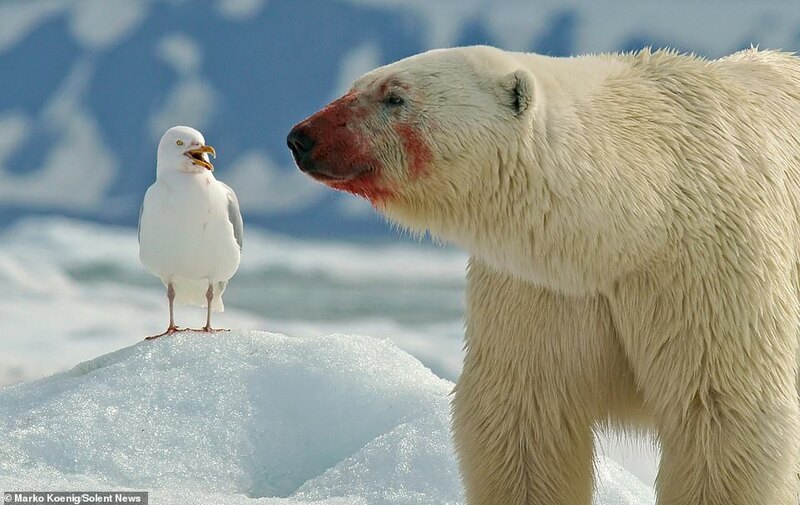 A polar bear appears to stick its tongue out at a laughing seagull in a series of bizarre photos captured in one of Norway's most remote regions. 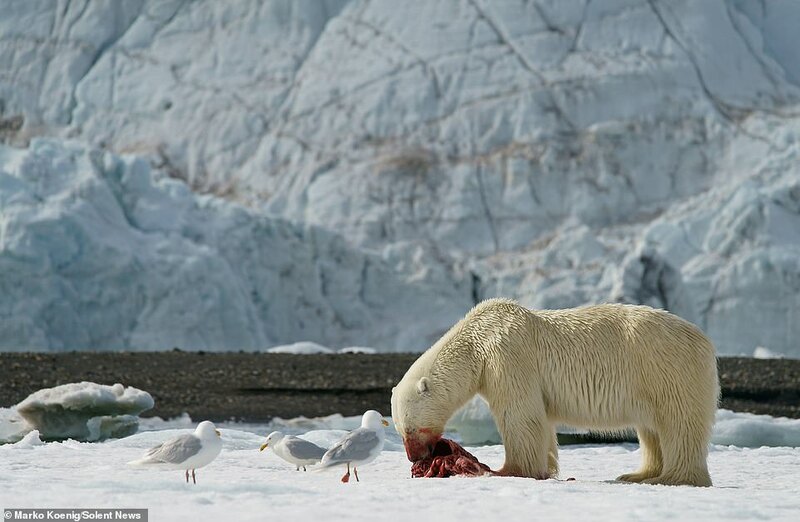 Amateur photographer Marko König watched the 8ft-long animal for 30 minutes in Svalbard, Norway as it ripped into its prey, covering its own face in the seal's blood. 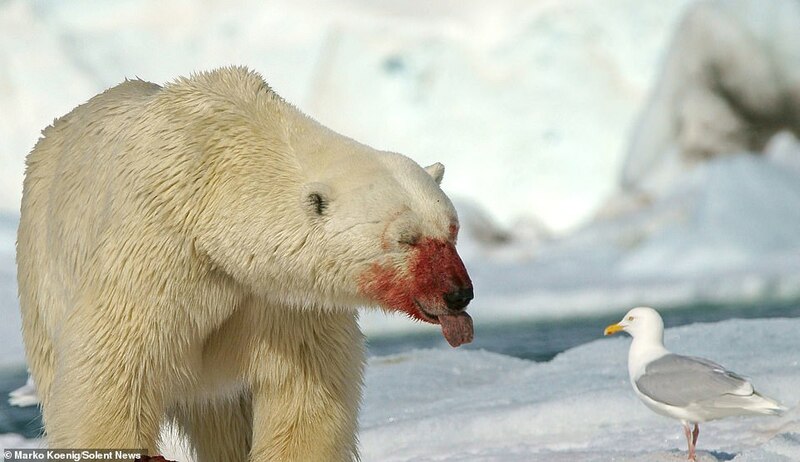 The 400kg (62 stones) male bear looks like it's poking its tongue out at the bird as it pulls apart a seal carcass while the gull crows from a safe distance. The 44-year-old teacher from Badhersfeld, Germany, was on a 10-day boat trip around the Scandinavian island which has a population of around 3,500 polar bears. 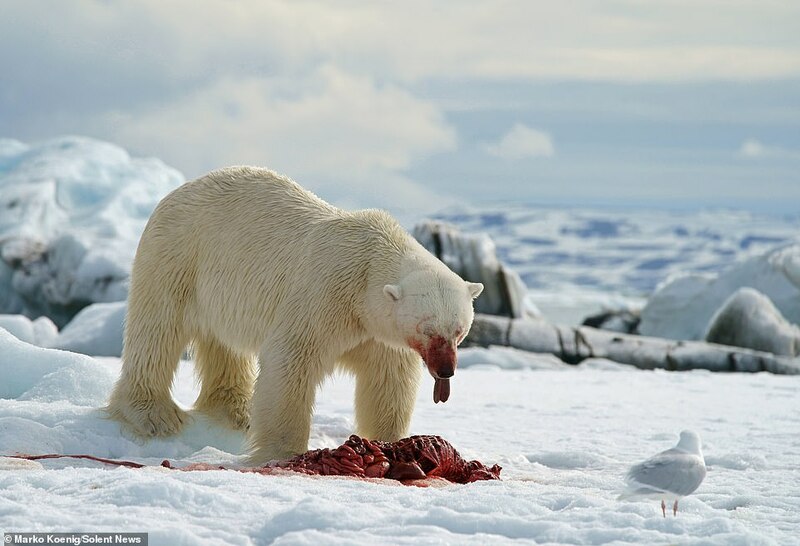 He said: 'I don't know if the seal was already dead or if the bear killed it himself, as he was already eating when we started watching him. 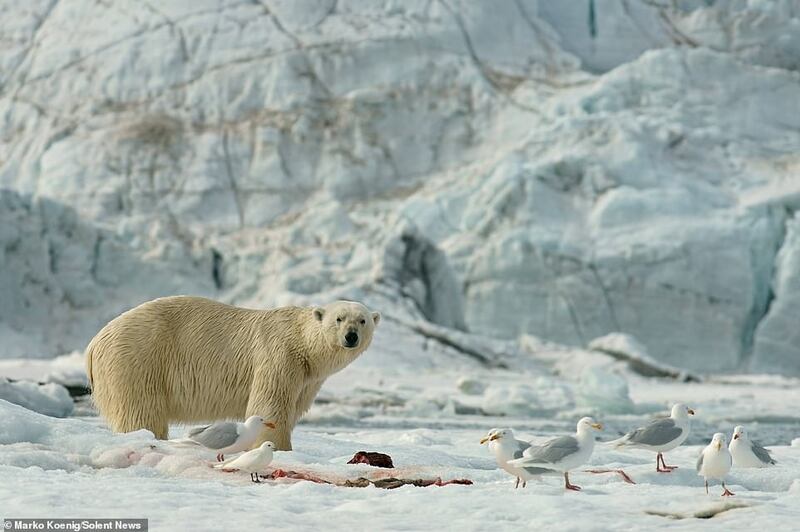 'In some pictures it looks like the bear is sticking his tongue out at the seagull, but I think it's just one of his eating behaviours - he sticks his tongue out as he chews.